Need a new set of GT decals? Or do you just want to try a different color? 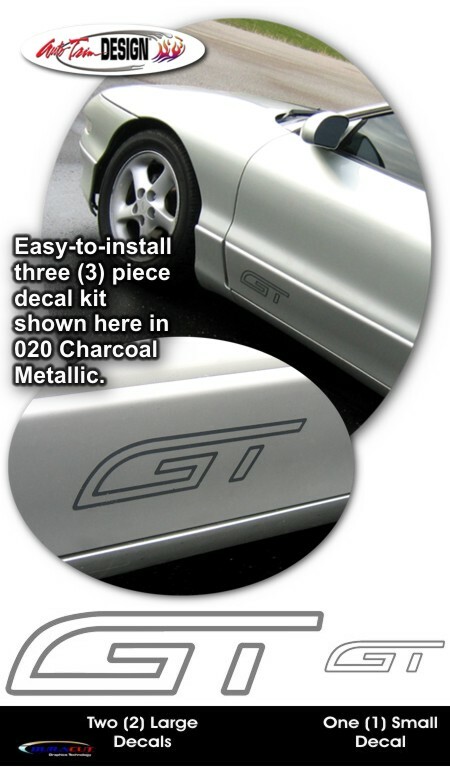 In either case, this decal set closely matches the GT found on most '93-'96 Ford Probes and can be obtained in a wide variety of colors. Decal sizes are as per table below and is packaged in a set of one (1) small and two (2) large decals.